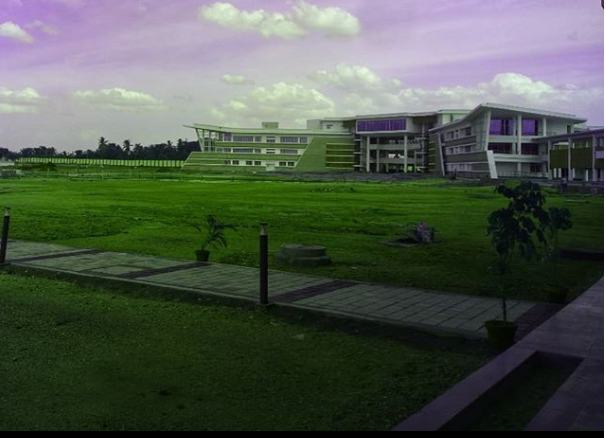 Why and how you chose IIM Trichy? When my mailbox read “Congratulations! I am pleased to invite you to join the Post Graduate Programme in Management (2018-20) of Indian Institute of Management Tiruchirappalli.” I was on cloud nine because it was dream come true for me and there was no doubt that I was not joining the institute because the buzz IIM Trichy has already created in the industry is commendable and I think no MBA aspirant is devoid of this information. I belong to Barabanki district in UP and my parents were quite skeptical in sending me to South India, reason was difference of culture, language but I was determined that I will join IIM Trichy so I tried my best to convince my parents that this is the right place for me. During the process I got to know so many things about the college, mission and values it carries, the infrastructure state of the art campus, excellent pedagogy and the peer group I will be with and at the end they were convinced and me, proud that I decided to join this institute. Finally, I joined IIM Trichy, right from the first day itself I could see the culture and environment of the institute and I would say it is way beyond my explanation. We had Orientation of 1 week and during that time only, my mindset towards joining this college changed drastically, I joined the institute with the mindset that these two years will add value to me but now when I think my mindset and aspirations have changed. My perspective about the changes it will bring to me changed and now I feel I am here not for myself but for the welfare of society as a whole. IIM Trichy is a family with great mission and people from diverse set of background. At the end what makes institute unique from peers is the Mission and Vision that IIM Trichy family carries “To nurture a learning environment, for the creation and dissemination of management knowledge by integrating global standards to develop leaders of enterprises who add value to society, and to be a partner in nation building”. Mission tells a lot about the value it adds to individual and those individuals tend to add to society. When I decided to join this institute, I was fascinated by the idea of being a part of this institute but for different reason. Now I am even more fascinated because I am a part of the institute which carries mission and value which will definitely teaches us to give to society. Given a chance I would like to work for Aditya Birla Retail Limited because I always had peculiar interest in domains where humans work hand in hand. Company deals with FMCG products, fruits, vegetables, groceries, frozen food, bakery, home-care, personal care, pharmacy, general merchandise and apparel and footwear, mostly products which are ever evolving be it rate of product innovation or rate with which products move out of the shelves. Companies business model for stores like More mega-store and More Quality 1st Supermarkets is such that they tend to serve every section of society. Goal and vision of Aditya Birla retail limited will facilitate me to pursue my interests and I believe my passion for closely working with people will definitely help me in working towards the goal of the company. This article is written by Garima Suryavanshi – Class of 2020.